You may already know that at i-escape we pride ourselves on personally visiting all our featured partner properties to review them in depth. But you may not know that we also revisit them regularly to make sure the reviews are up to date and that high standards of style and service are still in evidence. Over the last year we’ve returned to dozens of places to delight anew in their charm and character, and to ensure that those included in the Kids Collection still offer great facilities, amenities and activities for families. 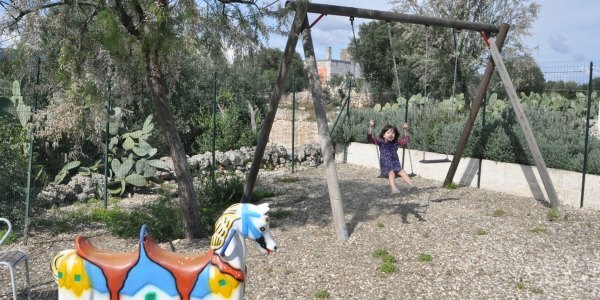 Our Kids Collection Editor, Nadine, chooses her favourite family-friendly hotels and rentals revisited in the past year by the team. 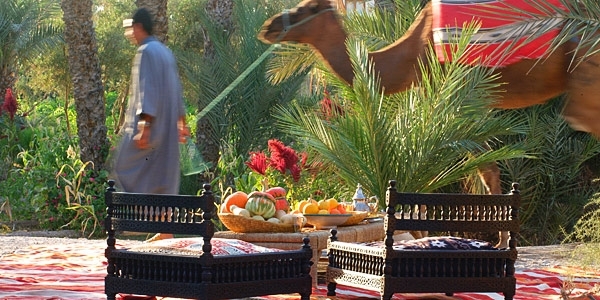 A jewel in any collection, this beautiful Bohemian country estate is set in lush grounds just 15 minutes’ drive outside Marrakech – perfect for families wanting space and tranquillity after visiting the bustling Medina. There are no less than 5 different swimming pools to cool off in and the inventive kids’ club (school holidays only) now offers activities such as Arabic calligraphy lessons and gardening workshops; camel- or horse-riding can also be easily arranged. Bliss. Owner Antonia now has 3 charming cottages in this southern Cornish seaside village, each sleeping 2, 3, and 4 respectively. Mike liked them all, recommending Olivia’s (which sleeps 4) for a family with 2 kids, and The Cottage for a family of 3 plus a baby. His 6-year-old son loved the age-appropriate toys and films thoughtfully supplied, and there’s plenty of baby and toddler equipment, too. Antonia now offers meals for her guests which makes for a spoiling and easy dinner, perhaps after a day spent exploring the Lost Gardens of Heligan (just a 15-minute drive away). 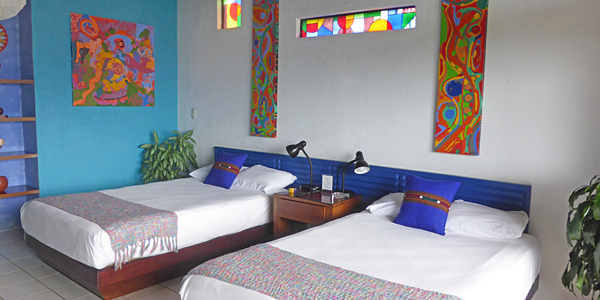 This vibrant, welcoming hotel, just 20 minutes from the international airport, is the perfect pit-stop for families flying in and out of Costa Rica. Kids needing to expel pent up energy will love the 40 acres of perfectly kept tropical gardens full of birds and lizards, which also includes 3 swimming pools. There are also walking trails, goats and turkeys, waterfalls, and crazy sculptures to be found. 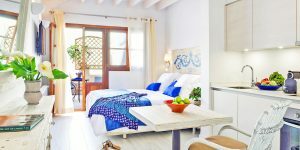 Ben reported that the bright colours in the spacious private villas are very appealing for children, and there’s a good kids’ menu of classic fare. 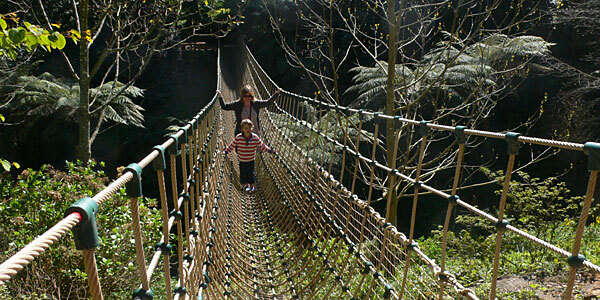 If you can stay longer, there’s heaps to do nearby, from visiting a volcano to a rainforest canopy tour. Nadine and her family had a relaxed holiday at this collection of minimalist-chic studios. 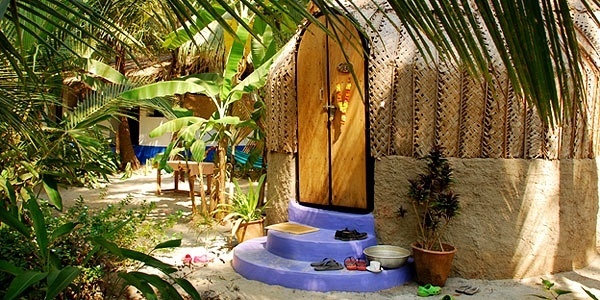 Each takes extra beds or a cot, is self-catering (with an ingenious kitchen in a cupboard), and has a private sit out area. The Family Suite has space for 4 people, with 2 bathrooms and an in-room colour therapy tub which the kids loved! There’s a small playground, beaches and beach clubs at hand, and best of all, the Zoo Safari in Fasano kept both children enthralled all day. For something different, these great-value thatched domes and simple cottages are set just behind Ashven beach in a magical sand garden. The property is securely fenced, the beach is wide and sandy, and kids get a dedicated menu and 2 paddling pools to themselves. Charming staff can arrange boat trips and tuk-tuk tours, so you’ll have everything you need for a laid-back holiday. 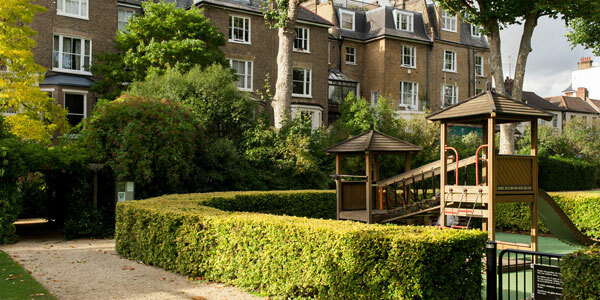 Within a large elegant townhouse in Little Venice are these 1-3-bedroom self-catering apartments, which provide comfortable living quarters for families who like being near the excitements of the West End, yet far from its noise and traffic. There are plenty of upmarket food emporiums nearby, plus a useful restaurant delivery service. My kids loved playing in the large communal gardens and having their own cupboard of toys, books and games with ‘Keep Out, Kids Only’ on the door! A real find, these exclusive suites and rooms are hidden in the extensive and safe grounds of a palace on the shores of the Chao Phraya river, right in the heart of the city. Ben thought the spacious Chinese Suite worked best for families as it opens onto a private gated terrace and has direct access to the swimming pool (which has fun inflatables for kids). With the choice of an in-house chef or self-catering options, a super-cool James Bond-style private motor launch for river tours, and a location close to city’s glittering temples and street markets, you’re all set for a memorable city stay. 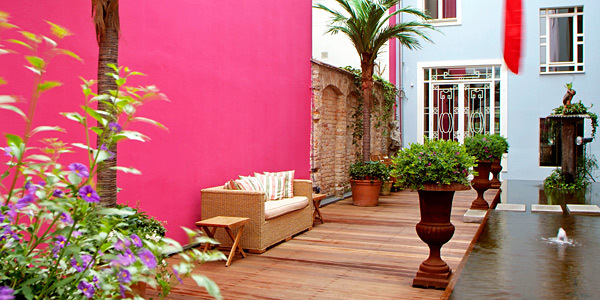 This Baroque 2-bedroom self-catering apartment makes a great home-away-from-home for families wanting to explore this beautiful city and its many sights. 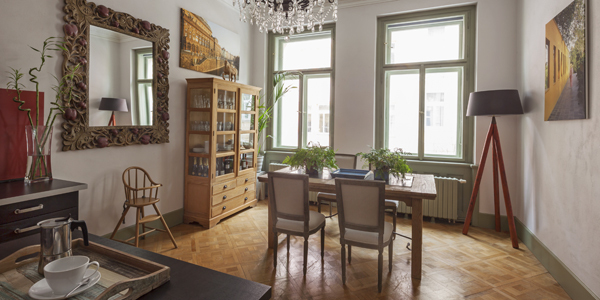 You’re just 15 minutes from the airport and 10 minutes’ walk from Wenceslas Square, plus the neighbourhood is brimming with restaurants, food shops and public transport. After sightseeing, the kids can flop in front of DVDs or family channels while parents cook in the well-equipped, modern kitchen. Nadine took her daughter Esme to New York City for the first time over February half-term and stayed at this stylish yet understated, friendly and intimate hotel. It’s just one block from 5th Avenue and subway stations, 2 blocks from Central Park, and a short walk to the bright lights of Times Square. There’s a milk bar downstairs (yummy cookies! ), room service, an award-winning restaurant in the basement, and plenty of dining options on the doorstep. Kids are welcomed with dressing gowns, slippers and colouring books. 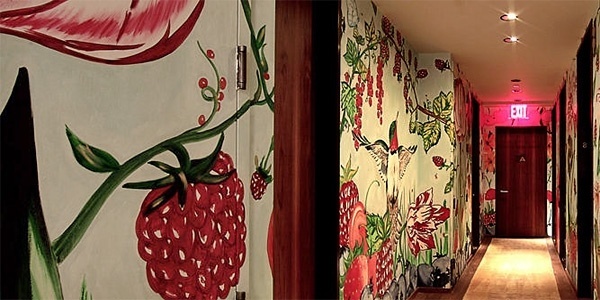 Each floor has been differently decorated by an artist. Needless to say, Esme loved everything about New York! These twin hotels boast adventure-themed décor – which Ben found to be pristine after their recent revamp – and no 2 rooms are the same. Those with kitchenettes and second bedrooms are the ones recommended for families. 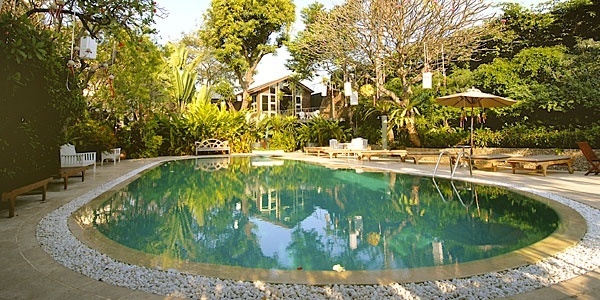 Kids under 6 stay for free and both hotels have gardens – one with a fish pond. Ben says the area (Prenzlauer Berg) felt family-centric with not too much traffic, and the immediate vicinity has lots of playgrounds, leafy parks, kiddies’ shops, and family-friendly cafes.